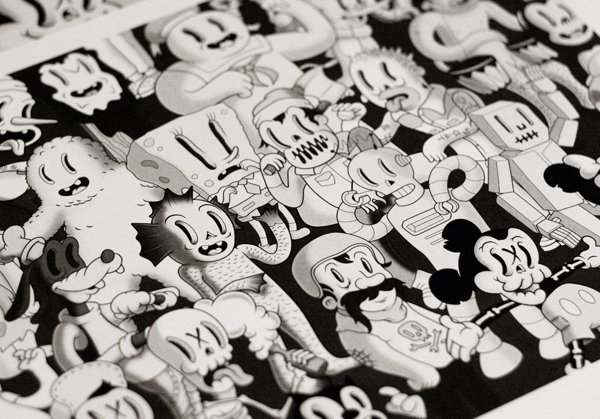 Coté Escriva is a Spanish graphic artist and illustrator from Valencia whose style is greatly influenced by American pop culture, urban art and famous cartoons. Among his artwork, various support can be found such as sculpture, toys, prints, drawing or murals. Until now, Coté has participated in various exhibition across the world: London, Barcelona, Los Angeles or even Singapore.